Can a sitting president be indicted? Can a president pardon himself? These were just some of the questions UCLA constitutional law scholar Jon D. Michaels, Wake Forest political scientist Katy Harriger, and Joel D. Aberbach, political scientist and former director of the UCLA Center for American Politics and Public Policy, contemplated on a rainy night in downtown Los Angeles at the National Center for the Preservation of Democracy. 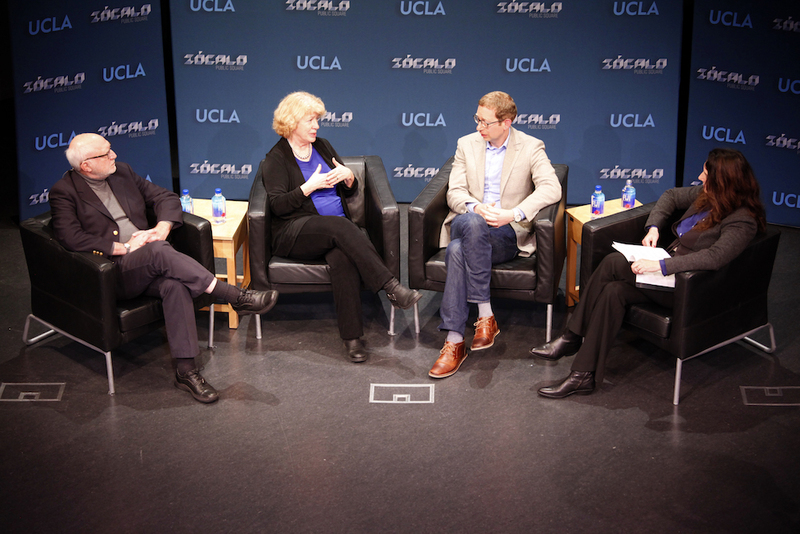 Before an overflow crowd, Madeleine Brand, host of KCRW’s “Press Play,” moderated the Zócalo Public Square/UCLA Downtown event titled “Are American Presidents Above the Law”? I recently learned that, in the second grade, I was part of presidential history.